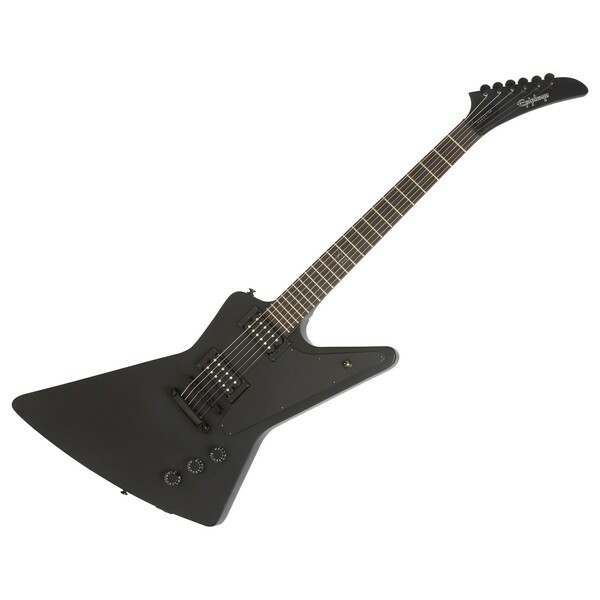 The Epiphone Gothic 1958 Explorer, Satin Black is a Gothic edition of Gibson's popular 1958 Explorer electric guitar. The Explorer was favoured for its radical body shape, which includes sharp, asymmetric angles and screams 'heavy metal' at first glance. The body is made from mahogany, for a rich and resonant tone with plenty of deep warmth. The hand-set mahogany neck brings a smooth and full-bodied tone, while its adjoining rosewood fingerboard adds enhanced warmth and beautiful articulation. Powered by a pair of Open Alnico Classic Humbucking Pickups, the Epiphone Gothic Explorer delivers a vintage tone with rich warmth, and plenty of explosive projection. Equipped with a Locking Tune-O-Matic bridge and Premium Die-Cast machine heads, the Gothic 1958 guitar provides the guitarist with reliable and stable tuning that will remain locked throughout the night. 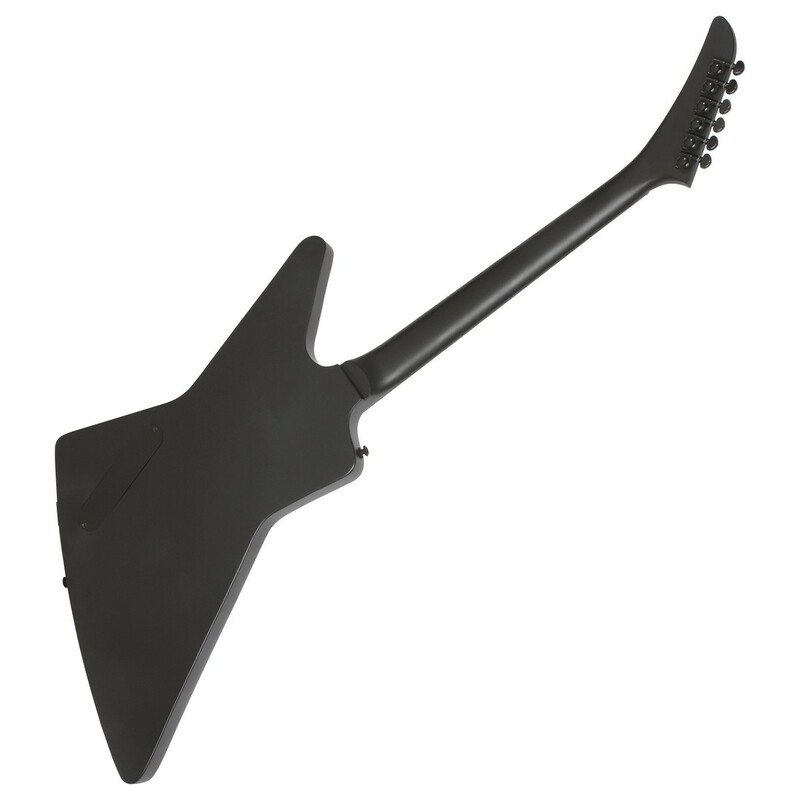 The Epiphone Gothic 1958 Explorer features a Pitch Black finish, and all black, metal hardware for the ultimate metal appearance. Loaded with a pair of Open Alnico Classic Humbuckers, the Epiphone 1958 Explorer Guitar produces a powerful yet balanced tone that is ideal for classic rock styles. 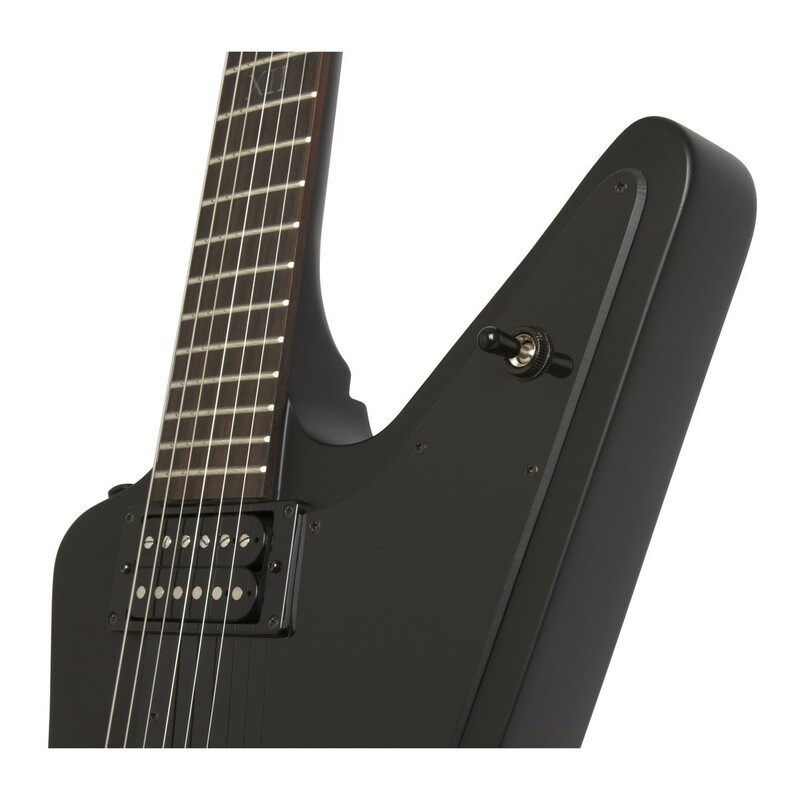 With its vintage tonality, the Gothic 1958 Explorer has that iconic sound that is loved by many of music's legends. The humbuckers deliver tight, sparkling highs and a deep, full-bodied low end, for a wonderfully versatile tone. A mahogany body gives the Epiphone 1958 Explorer a warm and resonant tone with great sustain, as well as plenty of depth. Mahogany delivers good levels of grind and bite, which works exceptionally well with punchy rock music. The mahogany body also provides durability, and a tone that will mature over the years for a long lasting investment. 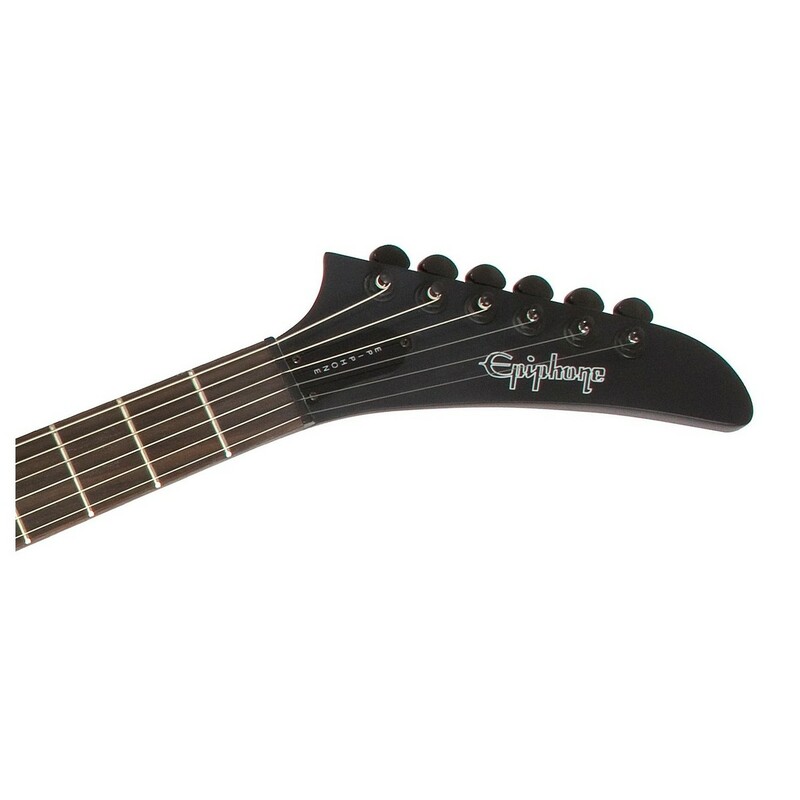 The Gothic 1958 Explorer's neck is made from beautiful mahogany which is sturdy and provides good durability. The mahogany gives the guitar a richer focus, with warm and full undertones; and it is coupled with an equally as warm rosewood fingerboard, ideal for creating articulate tones that are soft yet punchy. The Epiphone Gothic Explorer is equipped with rock solid hardware, consisting of a Locking Tune-O-Matic bridge and StopBar tailpiece which is fully adjustable. They are locked in place, which works to keep your tone reliably in tune, and improves sustain. 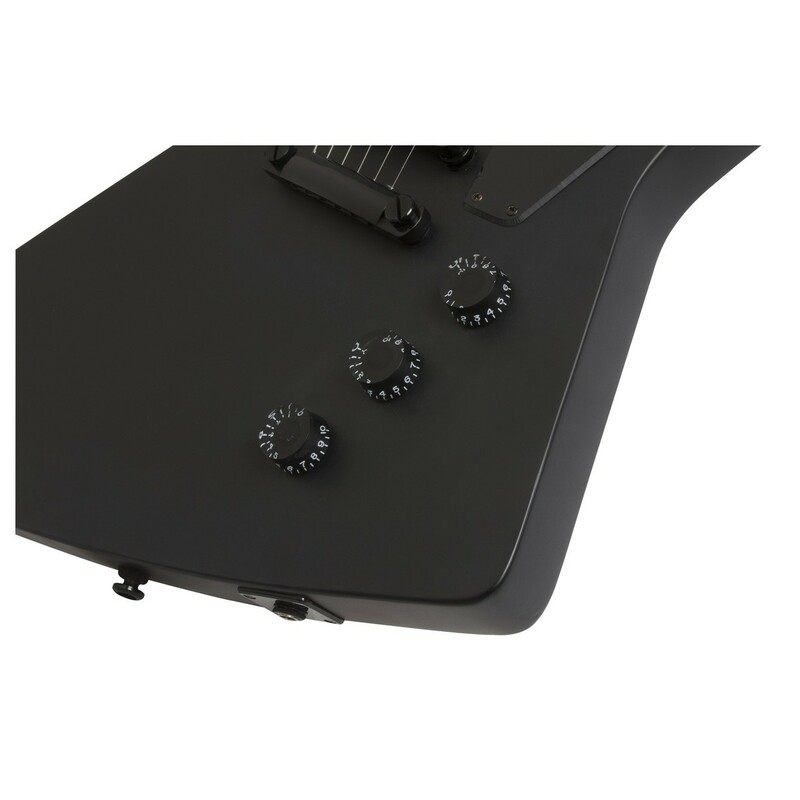 There are also Premium Die-Cast 14:1 tuners on-board for stability, and the metal 3-way toggle switch ensures years of sturdy use and performance. The 1958 Explorer is based on the Gibson Explorer which was one of the most radically shaped and 'futuristic' electric guitars when it was released. With its sharp, angular body shape, the Explorer screams heavy metal and rock at first glance, and it was especially favoured by rock and metal musicians during the 70s and 80s. 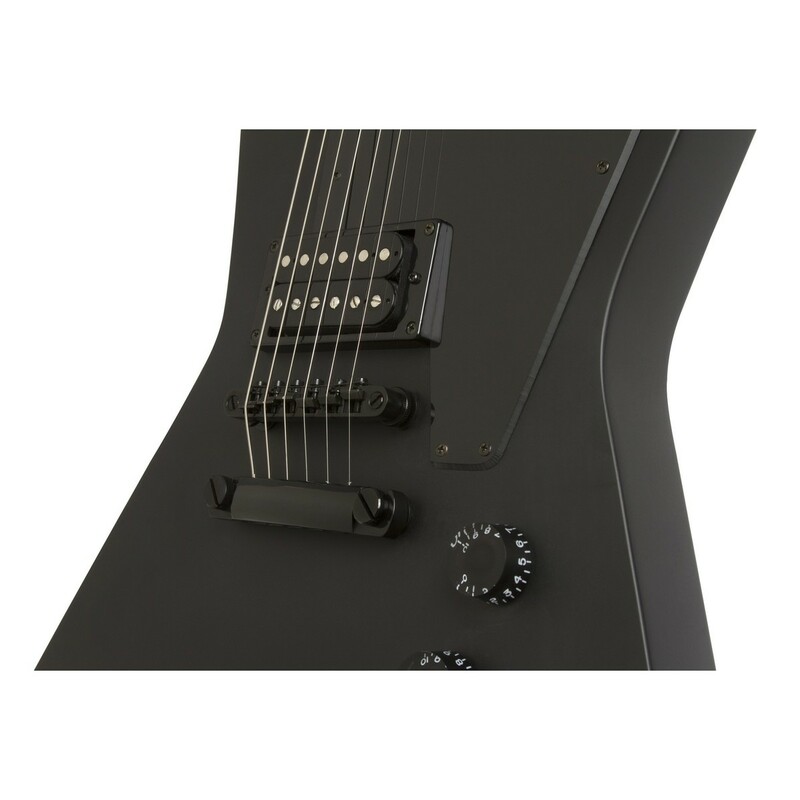 The Gothic editions provide a dark model of Epiphone's most loved guitars, with a Pitch Black finish and all black hardware for the ultimate metal look.